Kris Humphries: Kim Kardashian and Kanye West \"deserve each other\"
Kris Humphries: Kim Kardashian and Kanye West "deserve each other"
’’One of Kris’ favorite songs of Kanye’s is his hit single, ’Golddigger.’ Kris especially likes the chorus of the song, ’Now I ain’t sayin’ she a gold digger/When I’m in Need/But she ain’t messin’ with no broke n****s.’ Kris is having a lot of fun listening to that song, and he thinks that Kanye and Kim truly do deserve each other," says a close friend of Kim Humphries. 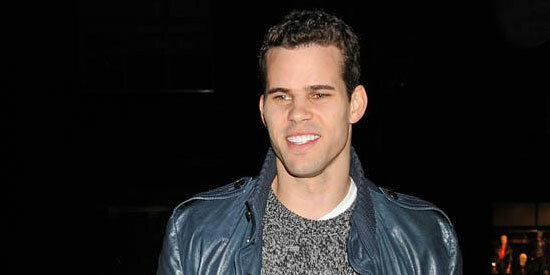 Kris Humphries thinks Kim Kardashian and Kanye West ’’truly do deserve each other." The basketball star was devastated when his wife Kim announced their split after just 72 days of marriage last year but although she has recently started dating rapper Kanye, Kris has told friends the pair are perfect for each other. However, Kris has reportedly instructed his lawyers to find out if Kim bought any gifts for Kanye during their ill-fated marriage as even though California is a no-fault divorce state, if a spouse spends money on a lover while married, the other person is legally entitled to recover those funds.